'We appreciate that you came. Here, we don’t know what can happen in the next five minutes,' an IDF base commander told the United with Israel visitors. What’s the connection between lighting candles and having learned children? Keep Israeli Soldiers Warm this Winter! 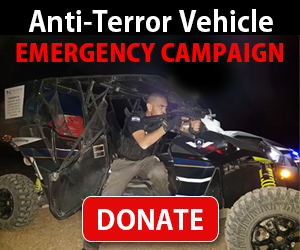 Join us in saying 'Thank You' to the young heroes of the IDF who protect and defend the citizens of Israel. 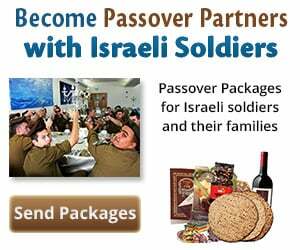 Send gift packages and personal notes to soldiers on the front lines against terror. While each day we express our appreciation for life's blessings, Chanukah is the ideal time for the People of Israel to celebrate and say: THANK YOU! Why Did the Maccabees Insist on Pure Oil for the Menorah? The Maccabees could have lit the Menorah with regular oil, but wanting to repair their relationship with God, they insisted on a pure product. A fascinating museum in the Holy City of Jerusalem is testament to thousands of years of Jewish continuity on this land. CHANUKAH PARTY with Israeli Soldiers on IDF Base Near Gaza Border! United with Israel is proud to sponsor a Chanukah party on a military base near Gaza to honor the brave young men and women of the IDF who risk their lives to protect the people of Israel. YOU are invited to join us! All year round, we must battle the forces of darkness by adding more and more light to the world. Chanukah reminds us that this is a battle we must face every day. The Festival of Chanukah – It’s Not a ‘Jewish Christmas’! Because Chanukah usually occurs in December, it is sometimes thought of as the "Jewish Christmas." It isn't, of course. But what's it's really all about? On Chanukah there is a power in the air that we breathe, which has the ability to help us emerge victorious in the personal battles we face on a daily basis. WATCH: ‘I Have a Little Dreidel’ – Performed in Any Style! Classic Chanukah song "I have a Little Dreidel" gets a makeover! WATCH: Enjoy a Rocking Bohemian Chanukah! Chanukah is a time when we celebrate miracles and victory, but there's much more to the holiday than just lighting candles. How is Chanukah Celebrated by the Jewish people? Chanukah is a time to celebrate miracles, chief among them the miracle that occurred after the Jews defeated the Greeks and returned to the Holy Temple. Living Torah: Why is the Story of Joseph Read on Chanukah? There must be a reason why the story of Joseph and his brothers is in the weekly Torah portion read on Chanukah. This is a funny video that shows Christians trying to explain what the Jewish holiday of Chanukah is all about. It is hilarious and very cute. Watch, enjoy and share! We can affect change in this world and influence the order of events. Our good deeds affect change for the better, and our misdeeds can affect change for the worse. The Land of Israel constantly reveals hidden treasures, testifying to its rich history and the Jewish people's deep and long-lasting ties to the land. This time, the discoveries have a seasonal significance as well. The Y-Studs, a Jewish a capella group is celebrating the Festival of Lights this year with a new music video based on the song “Rise Up," originally performed by Andra Day. Understanding the reasons behind several of the laws of Chanuka provides insight into true Jewish values. Does the menorah depicted on the Arch of Titus resemble that which stood in the Holy Temple of Jerusalem? United with Israel is proud to sponsor a Chanukah party on a Jerusalem area military base to honor the brave young men and women of the IDF who risk their lives to protect the people of Israel. YOU are invited to join us! Hollywood star Mayim Bialik tells you everything you need to know about Chanuka and dispels widespread myths about the holiday.